Directed by Fred Schepisi. 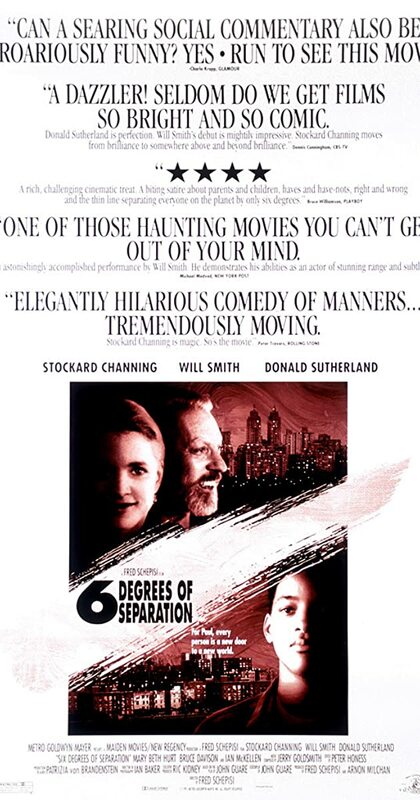 With Will Smith, Stockard Channing, Donald Sutherland, Ian McKellen. An affluent New York City couple finds their lives touched, intruded upon, and compelled by a mysterious young black man who is never quite who he says he is.